Cars get stolen every day (actually every 26 seconds!). Experts recommend layers of protection. The average stolen vehicle costs the owner $6,600 – plus a lot of hassle! Factory alarms give a false sense of security. Real security, and peace of mind – with Viper! This year, 1.2 million vehicles will be stolen this year at a cost of $8 billion. Don’t be a statistic – so called “factory security” simply does not provide the protection you need to keep your vehicle and its contents safe. That’s where Viper comes in. 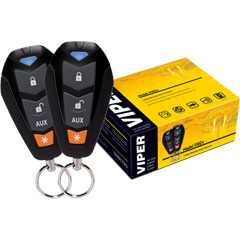 Viper is the most recognized name in vehicle security and remote start systems. 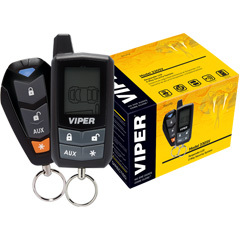 Let Whittier Tint Shop help protect your investment with one of these great Viper products. 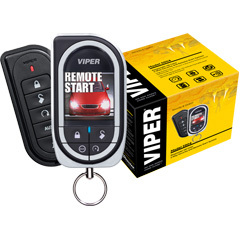 Come see the latest technology with Viper’s new SmartStart systems. These amazing products allow you to start and arm your vehicle with your Blackberry SmartPhone or your iPhone. When you install appliance options like car alarms and add other aftermarket customizations to your vehicle, you are often effectively raising the market value of the car or truck. A car alarm is a great visual addition that buyers will see when they inspect the vehicle. If you can provide additional information on the value that an alarm system brings, you may be able to command a better price at the time of resale. Insurance companies base their risk assessment on your driving history, but they also base it on the year and model of the vehicle, as well as the neighborhood where it is garaged. In other words, safety and security are both parts of a car insurance company’s risk calculation. With this in mind, you may be able to get a reduction in your insurance rates by properly installing an aftermarket car alarm system, documenting the installation, and contacting your insurer to let them know that your car is well protected. Everybody knows that you lose money, or more accurately, lose value, when your car is stolen. Something expensive that belonged to you is gone. You can’t drive it or resell it. However, the driver still holds the title, and so as a point of actual fact, the car owner whose ride is stolen is still the owner of that vehicle. They just don’t know where it is. But there are other hidden costs to car theft, and maybe the biggest one is something that so many of us may not think about until we are the victims of a vehicle theft. Basically, car owners often have to pay high impound fees when their vehicles are recovered. Unless the car thieves are actively selling their fines to a parts shop, there’s a high chance a vehicle will turn up on the street later. A local police department will often call a private impound shop to pick up a vehicle. The car owner may not be notified until days or weeks later. Each day, impound fees as high as $100 pile up. This is a cruel lesson that any car owner will learn if their car is recovered and impounded. Legal action is often required if the car owner wants to avoid this heavy financial burden. Car alarms help prevent these situations, saving car owners a lot of heartache and trouble later down the road. Those who keep their vehicles in dangerous locations may consider adding their own aftermarket car alarm to safeguard one of their largest assets.